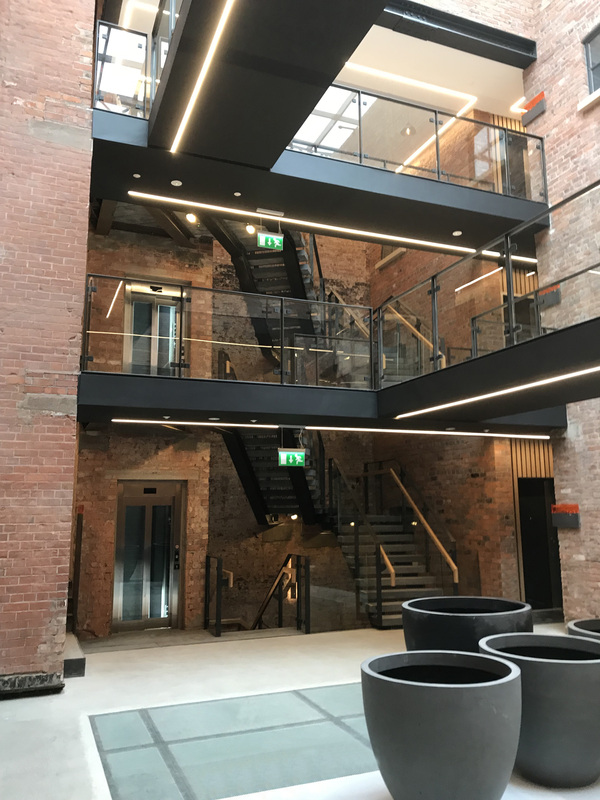 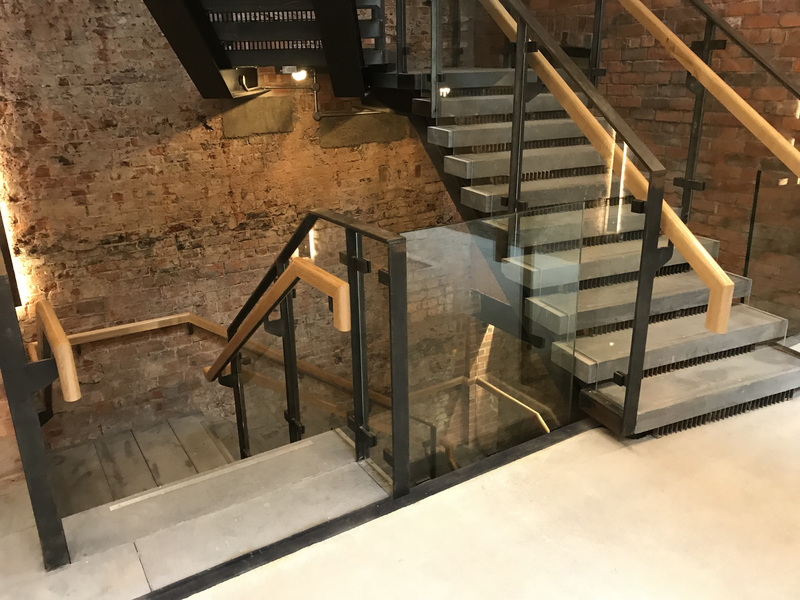 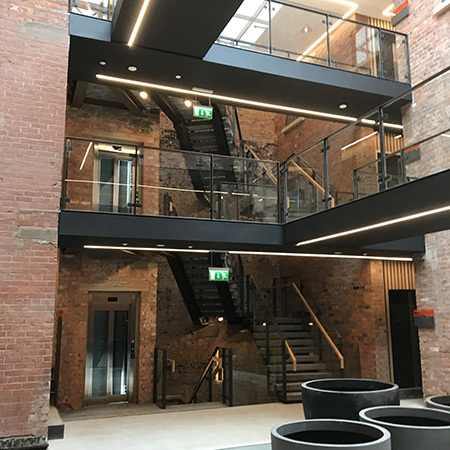 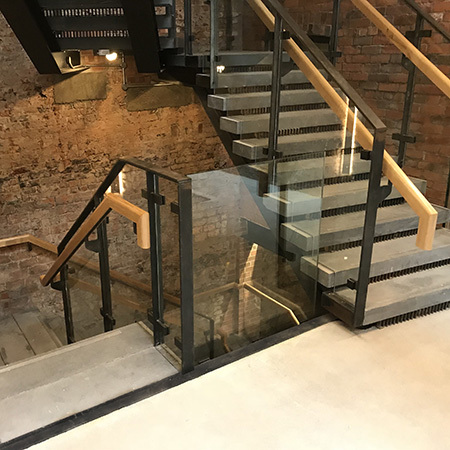 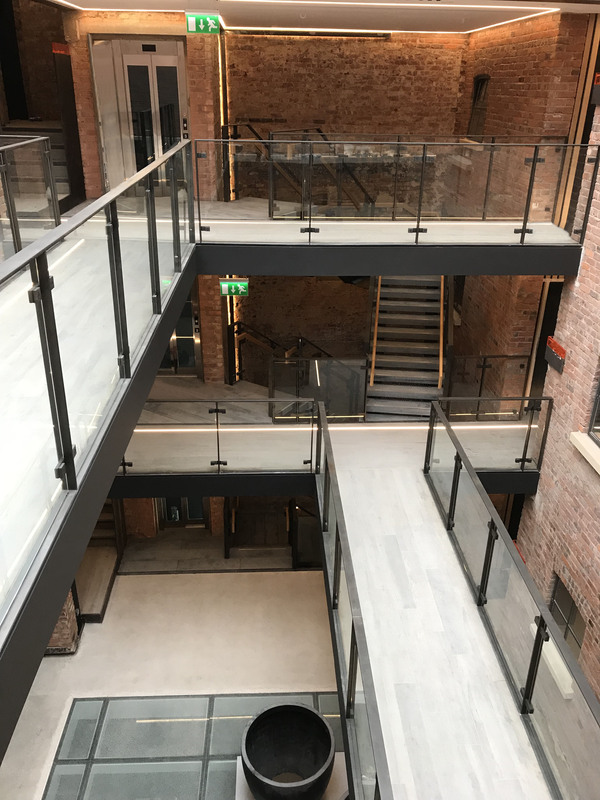 Steel stairs, landings, balustrade and handrails were all installed by M&G Olympic for the St Ann’s Square project in Manchester. 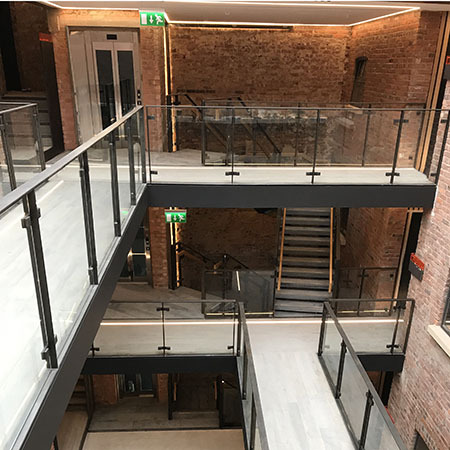 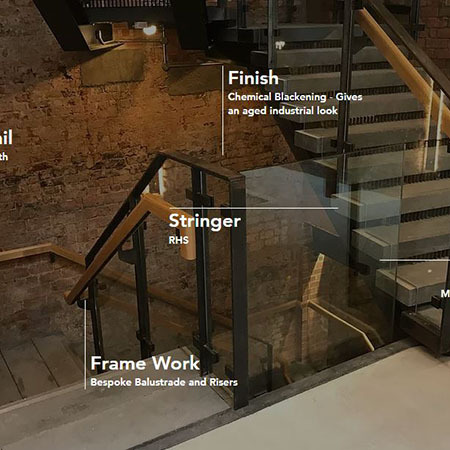 They provided balustrade complete with bespoke through-glass fixings, oak handrails and monolithic toughened glass infills for the 21 apartments. 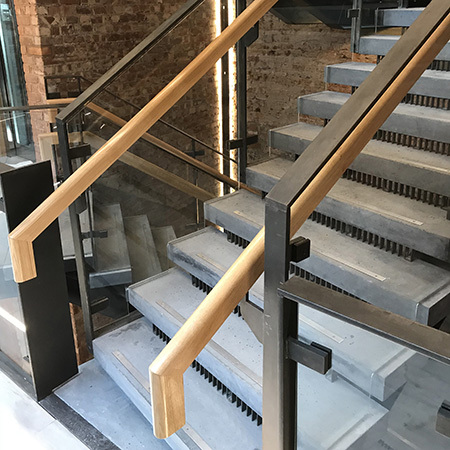 A special “Blackening” finish was given to the main stair and landings to invoke an industrial feel. 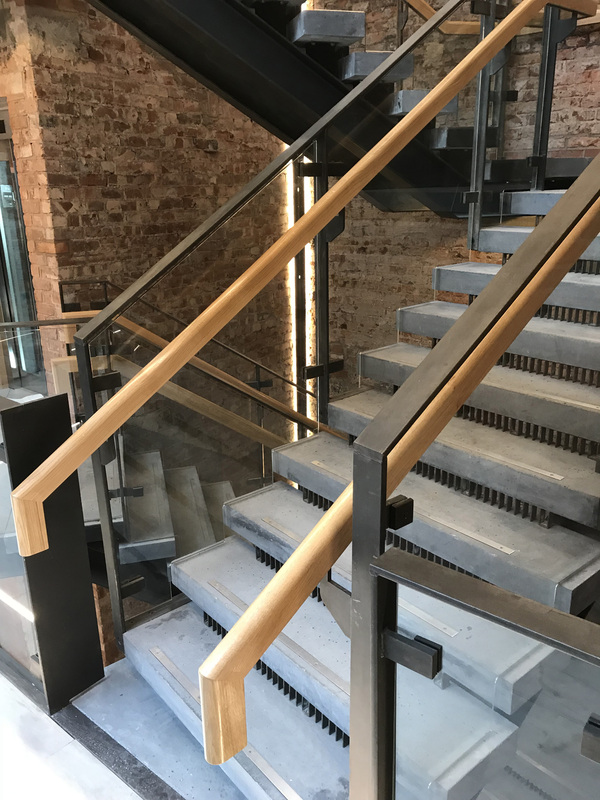 The process for this involved applying a special blackening and beeswax sealant and shot blasting.